What is her natural hair, brown or blonde? Lets compare. What is better to you? What about (Badly photoshopped) Red? The first line of her poem "ME" in the POY liner notes says "I have blonde hair"
Throughout Chasing Down the Dawn she's always speaking of being blonde as a kid and all, so I assume she's a blonde but probably dirty blonde which changes color w/ the seasons. Darker in winter, lighter in summer, etc... but I'm sure she dyes it too..
As far as personal preference, I like her blonde but I do have a thing for red-heads. I don't think she'd look bad as a red-head but I don't think she'd ever dye it red. Pictures of her as a child are of her with blonde hair. Not as blonde as it is now. However, I am a natural brunette and yet for the first 2-3 years of my life, my hair went from snow white to light brown to eventually by the age of 4-5, I was completely brown. Natural hair colour can change. 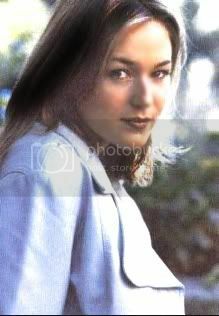 Jewel has naturally light brown/dark blonde hair from what I can see of her childhood photos. She's certainly not a full brunette. I think the blonde suits her. It's very fashionable now to be a brunette with a lot of famous people ditching the blonde for brown. I wonder if Jewel would give it a try too. I think it would wash her out a little. I don't think she'd suit as a red head! She looks hot with Red- Hair but on some people red hair is hot others it's not so but that depends on the person..
omg ive never sen that picture of her with red hair before!! i culd get used to it but i still think blonde will always look best! 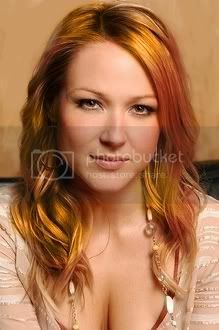 Hi guy's,well this a subject that i can relate to as i am actually a hairstylist.Jewel definetly colours her hair,i would reckon she is naturally a dark blonde-very light brown,and she has it coloured with a Hi-Lift Light Blonde tint,not bleached as her hair looks to be in extremely good condition. She is certainly best suited to Blonde hair,as other posts state,as her skoin tone compliments her hair and the subtle make-up that she wears,she looks gorgeous. Did anyone notice on the Jay Leno show last week that she had a new hairstyle,she has got shorter choppy layers around her face,and slightly darker hair extensions at the back,she looked superb. My wife has the same hair colour and style as Jewel,not that i am trying to have my very own Jewel lookalike,but i am defintely a Blonde type of guy,i always have been,so it's good that my two favourite women,my wife Tina,and Jewel are both Blondies! I don't fancy Jewel as a Redhead,or even as a brunette,i think she is a total babe as she is. Most hollywood blondes look like crap I think... Paris aakkkkkk.. I wonder how she'd look w/ jet black hair. I've seen pictures of Gwyneth Paltrow and Cameron Diaz w/ black hair and I think they look pretty hot w/ jet black hair. Honestly though I don't think Jewel would really. 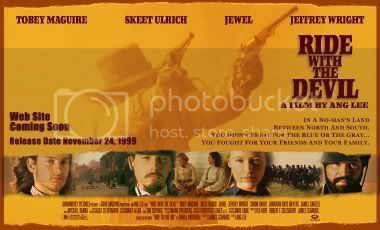 I think it's cool that Jewel can basically destroy the term "dumb blonde"
Yeah I noticed. She did that before around the release of the album. I think it's lovely having the darker tones underneath. I love her hair but could never pull off the style myself. I know I have the skin tone to pull off being a blonde (heck I was born blonde) but I don't think I would ever be a blonde again. I do have blonde and caramel highlights in my own hair but it's more of a Jennifer Aniston colour tone (per chance - not intentional). Jewel is a really nice natural looking blonde and her hair looks amazingly healthy. She clearly looks after it well. Hey Crawfy...do you think she has extensions? Personally I think it's her own hair but some think they're extensions. You being the expert here...what's your opinion? Are you talking about how it looks dark brown around her neck or something? Like in your avatar Kiera? From the again & again single cover? I hate when girls do their hair like that, I think one of the Dixie Chicks did that one time... it just looks weird having dark hair underneath and blonde on top... I don't get it. I agree w/ Chris she looks good w/ dark blonde. Are you talking about how it looks dark brown around her neck or something? Like in your avatar Kiera? Yep that's the one. I quite like that. Adds a little twist, something a little different. Hi,i also think that the black hair colour washes her out,it would not be a good look for her,Blonde is the best colour for Jewel. Kiera,i am sure that she had extensions in on the Jay Leno show,her hair just looked so much longer than usual,and with the longer hair on the underneath,it looked like she was going for that look deliberately. Her hair actually does not seem particularly thick,so if it was naturally that long,the ends would look a lot thinner,but on the Leno show it was fairly thick,i would plump for extensions.I have never noticed that she has ever had extensions in the past,but maybe this is a fresh look she was after,she suits it,and it does look pretty natural,thats why it's hard to tell if it's extensions or not,sometimes they look so obvious,but Jewel's look to be of top quality,as we would expect! My wife has the slightly darker hair on the underside and the Jewel Blonde on the top,and the main reason is that when the hair has choppy layers cut in,the Blonde overlay shows up a nice contrast when lying over the darker hair at the bottom,so it gives it an interesting edge to it,rather than just being Blonde or Dark completely. Your hair sounds nice too Kiera,it's always nice to experiment with colour and cut changes,after all,it keeps people like me in a job eh ! Believe it or not, I was 19 when a hairdresser first got to do anything with my hair. My mother cut it up until then but I used to have it so long then, that I sat on it. I've only started to get it styled and coloured in the last 3 years. So they are likely to be extensions. Interesting though I see what you mean about the thickness. I have really thick hair that I have to get it thinned. I know when I had my hair as long as Jewel has hers now, that it was much thinner at the ends and that was without layering. Thanks for that. I was curious.